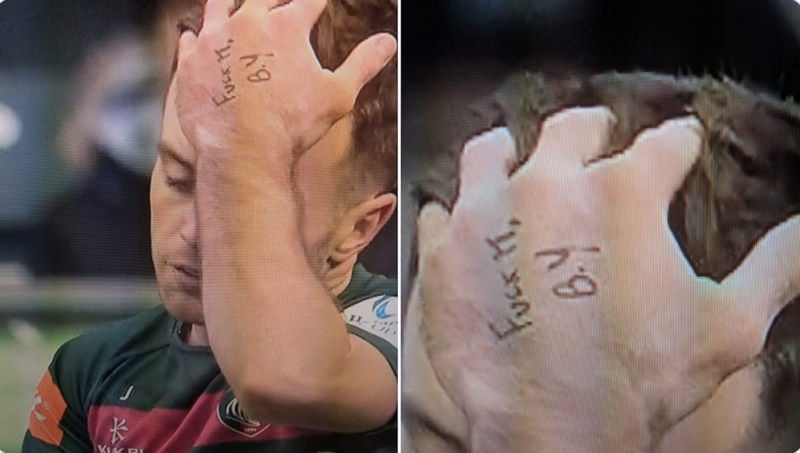 Rugby fans on social media spotted an interesting message written on Leicester Tigers star George Ford. The fly-half had the words “F*ck it” written, followed by B.Y. Fans have debated what B.Y stood for with some saying it was ‘be yourself’ while other immediately thought it was Ben Youngs, his halfback partners initials. Why has George ford written [email protected] it BY on his hand? Ford, influential in both attack and defence, stretched his side’s lead to 13 shortly after the interval against Ulster but the hosts rallied to win by one point. Only 14 options to choose from here … no second lock?